In September and October, Google has implemented their penguin 4.0 update. ‘Penguin‘ is the name of the new update of the Google algorithm to make the search experience even better. These changes in the algorithm will make it harder for people to influence the Google rankings by using techniques like ‘link spam’ and ‘too much on-page optimization’. Googles goal is to make their algorithm even more trustworthy by blocking these techniques and to focus on things like ‘content quality’ and ‘qualitative links’. 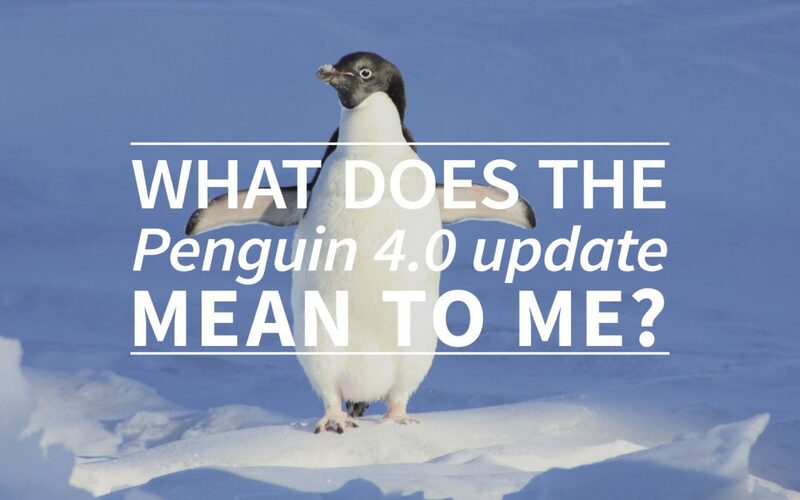 What does this penguin 4.0 update mean to the average webtexttool user? There are a few things that you have to keep in mind while this new update joins the Google algorithm. To make sure that you’re prepared, even though you might not have the knowledge about the exact algorithm, we’ve collected the main consequences for you. 1. All of the previous penalties and other SEO guidelines keep the way they were before. If you want to know more about the Google ranking factors, you should read this previous blog. 2. Synonyms in your online texts get even more important. Don’t just think in keywords but also think about relative words that could strengthen your content. Also, if you use more synonyms in your content you’ll be forced to write a more qualitative text and Google definitely likes this. 3. Link spam is not done. Using other websites to spam your own quantitative links isn’t working anymore. Google will find out and this will only have the opposite effect of what you’re trying to accomplish. Instead you should try to gather some qualitative incoming links. Think about writing a guest article on a very popular blog about your discipline or working together with a well known (for example: tech, marketing) news platform. These links are far more worth than the simple link spam links. Another change in their link spam policy is that only the page that gets incoming spam links will be effected by this link. Not the entire domain, which means your other pages ranking won’t be effected. 4. Other than the changes above you should try and follow the Google guidelines. This is the closest you could get to knowing what Penguin 4.0 does to your website, because people that don’t follow these guidelines will be punished. 5. The “Core” of the Google algorithm will change. This is the primary group of algorithms that are used to determine the position of your site in the search engine rankings. The “Core” analyzes the design and content of your site and weights them against users search habits. Penguin is an update that will strenghten this “Core” which means that the impact of this update will influence the search engine results directly. 6. Google Penguin 4.0 will be updated in real-time, which means that the results will be effective immediately. In history, Google updated their algorithm only periodically. We could imagine that you don’t know exactly what to do about this new Google penguin 4.0 update. But that’s why we’re here! We’ll make sure that the editor is up-to-date. If you check your old content right away you’ll be able to see if it’s still SEO-friendly according to the latest Google guidelines. Keep in mind: check your content every once in a while to make sure that it’s ready for all the changes that Google does! Google Penguin 4.0 Declines Happening As Well It is so strange. Traffic is much better from google organic and is the same as ever from other sources. Even with more traffic from everything, my sales are down starting after Google confirmed Penguin rollout no matter what source the traffic is from. I don’t know how but it looks like Google is filtering all the traffic my site gets.